​On April 4, 2019 Scientists with the Event Horizon Telescope (EHT) collaboration unveiled the first ever direct image of a black hole's event horizon. An event horizon is the boundary of a black hole - the point that gravity becomes so strong that not even light can escape from it. The central dark area in the image shows an area of space almost the size of our solar system which has a gravity so strong that all paths lead inward. This comes as a result of the mass equal to that of billions of suns being packed into this one relatively small area. The glowing material around the dark area is caused by matter violently spiraling inward toward the event horizon. EHT scientists hope to improve on the resolution of the image with time by adding more telescopes and observing in shorter wavelengths of light.. The reason for the blurriness in the image lies in the fact that the black hole lies at the extreme distance of nearly 55 million light years. The fact that a direct view can be had at all is a feat in itself. 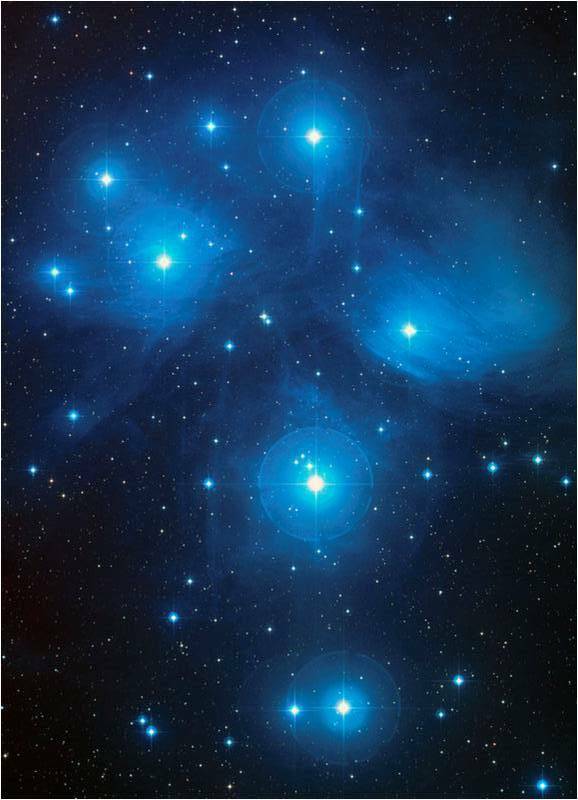 Only by linking telescopes together were scientists able to acquire an image like this. The EHT consisted of 8 telescopes across the planet all observing the black hole at the same instant. This method offered the resolution of a telescope nearly the size of the Earth. The data was later combined through highly sophisticated techniques and merged into the image seen here. The EHT has a resolution comparable to seeing the date on a quarter from across the United States. The black hole pictured here lies in the heart of M87, a supermassive galaxy with a colossal, 5,000-light-year-long, jet emanating from its core. This new black hole image from the core of M87 confirms the prior belief of what's been causing the jet. The black hole appears to be powering the jet by channeling infalling matter into concentrated beams of subatomic particles moving at near the speed of light. The skies in middle GA (where this photo was taken) were perfect for the Lunar eclipse. 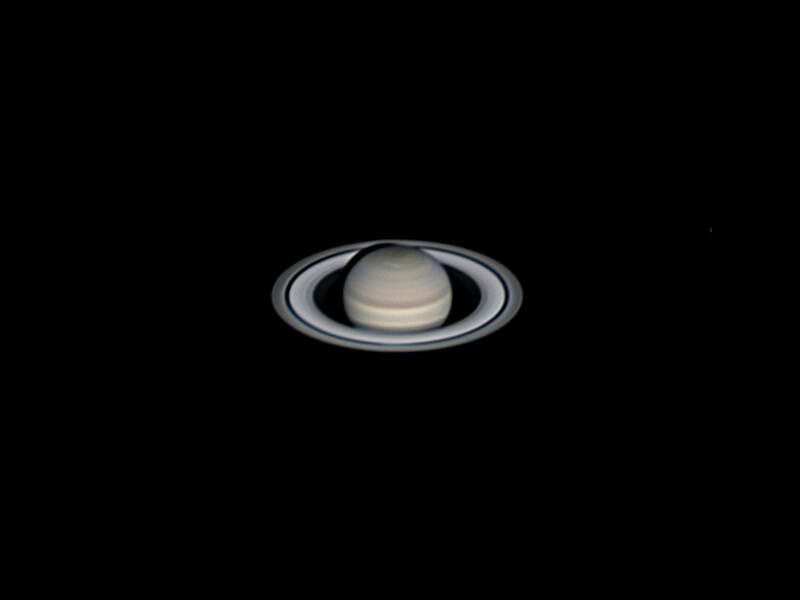 Canon 77D, ISO 400, 2 seconds, 10" Meade Schmidt Newtonian telescope at f4, Skywatcher EQ6-R mount. The New Horizons spacecraft has completed a successful flyby of Kuiper Belt Object Ultima Thule early on January 1, 2019. This is the first time an object of this type has ever been visited by a spacecraft. The Kuiper belt consists of asteroids in the outer solar system. Ultima Thule was discovered June 26, 2014 when NASA searched for a new target to visit after the New Horizons spacecraft completed its flyby of Pluto. That flyby returned the first ever closeup images of Pluto's surface. New Horizons had enough fuel remaining onboard to redirect its course and fly by Ultima Thule. ​The most detailed images of Ultima Thule -- obtained just minutes before the spacecraft's closest approach at 12:33 a.m. EST on Jan. 1 -- have a resolution of about 110 feet (33 meters) per pixel. Their combination of higher spatial resolution and a favorable viewing geometry offer an unprecedented opportunity to investigate the surface of Ultima Thule, believed to be the most primitive object ever encountered by a spacecraft. This processed, composite picture combines nine individual images taken with the Long Range Reconnaissance Imager (LORRI), each with an exposure time of 0.025 seconds, just 6 ½ minutes before the spacecraft's closest approach to Ultima Thule (officially named 2014 MU69). The image was taken at 5:26 UT (12:26 a.m. EST) on Jan. 1, 2019, when the spacecraft was 4,109 miles (6,628 kilometers) from Ultima Thule and 4.1 billion miles (6.6 billion kilometers) from Earth. The angle between the spacecraft, Ultima Thule and the Sun – known as the "phase angle" – was 33 degrees. What is the purpose of those flickering points of light shining out of the inky blackness in the night sky? For some they may only be a distraction as they rush inside to crouch before a glowing screen. The attention span they hold is too short to reach the stars. To them they’re only unchanging white dots on a motionless black veil. After all, the stars are there every night, right? And when something is repeatedly and endlessly presented before us we tend to become uninterested and unmoved by it. Others see more because their sense of wonder is never satisfied. They have the intrinsic ability to soak in the reality of what they are observing. Things in nature are always more alive and realistic to them because they hold an acute awareness of what’s before them. All this culminates into a crescendo when they gaze upward into the expansive dome of the heavens. They are lost in wonder and awe, and are left feeling like a speck of dust that is swallowed up by everything, yet lost in nothingness in the middle of nowhere. An astronomer with a fertile, imaginative mind will not see just white dots, nor will he simply see stars, but will be acutely aware of all the mysterious celestial objects that fill the glistening night like the superstar quasars, bizarre magnetars, pulsating pulsars, magnificent meteors, and boisterous black holes that seize unsuspecting stars. These all scattered through gargantuan galaxies that spout spontaneous supernovas and host hoards of parading planets which orbit the shimmering stars. 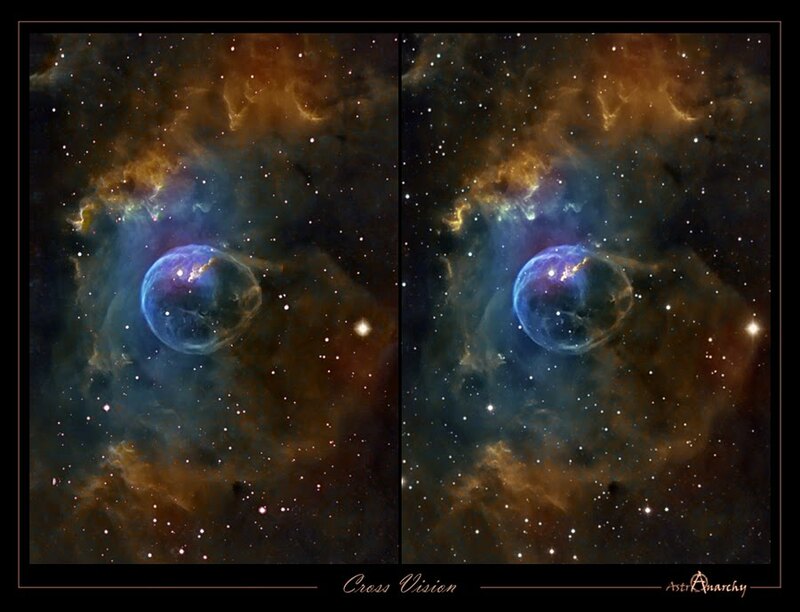 This entire cosmic realm is inundated with intense radiation in the form of gamma rays, x-rays, and ultraviolet rays that erode dust veils, light up gas clouds, and shape nebulae. Although, at times this astronomer sees so many components that he misses the whole. So absorbed is he in the deeper specifics of the cosmos that he looks beyond and misses the allure of the simple beauty at the surface of this stellar dome. Some miss the very point of the heavenly host reflecting the glory of their Creator, someone much greater than the shining lights, but consider the stars to be an end in themselves and imagine that they reach all the way across the empty void of space to touch them with a stealthy influence that controls their own lives. As the signs of the zodiac pinwheel overhead, these astrologers pore over their futile horoscopes in hopes of finding their fortune or fate locked up in the secrets of the stars. There are still others that fearfully and suspiciously look for non-biblical prophetic signs in the heavens such as a “galactic alignment.” Such an event was supposed to coincide with December 21, 2012 end date of the Mayan calendar. It’s unfortunate that misinformed people had been hoodwinked by the doomsday prophets into believing that an apocalypse was coming to change the earth as we know it on that date. But this type of an alignment would have no effect on earth. What happened as a result of the alignment? Nothing. Like the Bible says, seedtime and harvest, day and night continue on as this planet awaits the return of its Maker. So what are the flickering lights there for? It depends on who you ask. However, the one who made them gives the correct answer; He revealed to us they were made for His pleasure and to show His glory. What He takes pleasure in, He wants us to delight in as well! They were also made for our profit to show times and seasons. The earth was not made for the universe, but the universe for the Earth. 1. Hold a finger in front of the image. 2. focus on the finger and move it back and forth until the image in the background forms three images, this usually happens when your finger is about 1/4th the distance to the screen. 3. Keep your eyes crossed and slowly pull the finger away, allowing you to focus on the center image. 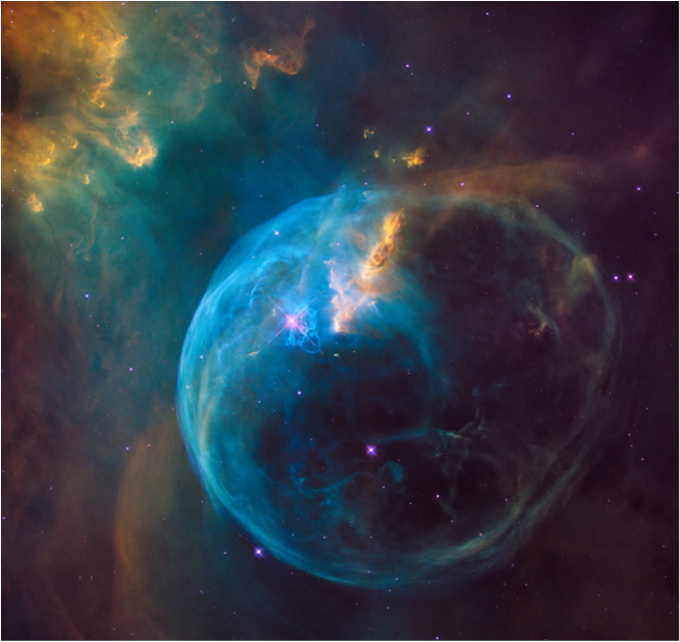 The Bubble Nebula is 7 light-years across — about one-and-a-half times the distance from our sun to its nearest stellar neighbor, Alpha Centauri — and resides 7,100 light-years from Earth in the constellation Cassiopeia.